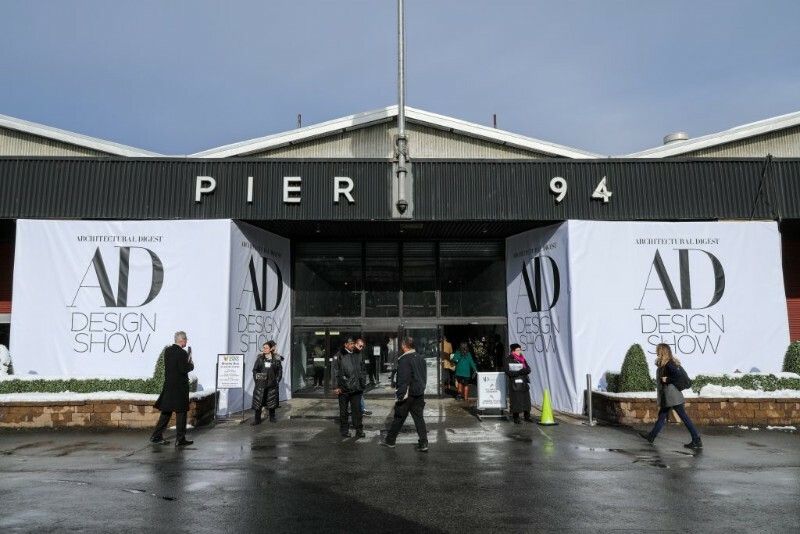 It’s no surprise that New York is the capital city of design in USA, and it’s also no surprise that some of the best design fairs and trendsetting events are happening in this city. AD Design Show is one of those events and it brought to us some of the best furniture and lighting pieces right now. Let’s take a closer look at the best mid-century furniture pieces that were on the spotlight in NYC. 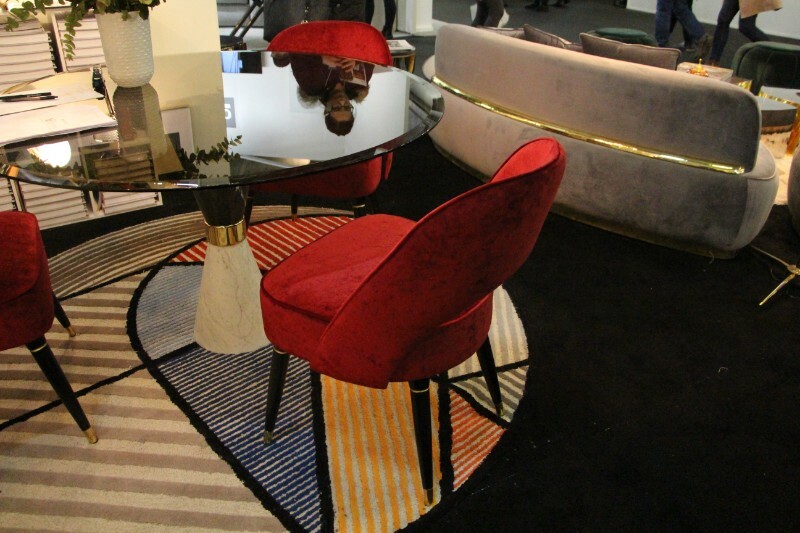 AD Design Show is over, but that doesn’t mean we can’t reminisce on the stunning furniture and lighting pieces we found or the trends that were set on this design fair in NYC. That’s exactly what we’re gonna do today! 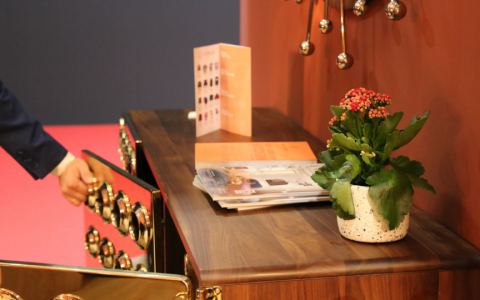 It was on Booth 601 that we found the best mid-century furniture pieces that we’re sure will be on your home this Spring. 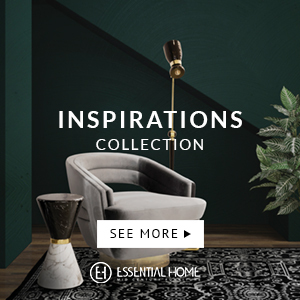 Essential Home presented itself with some mid-century pieces on Both 601, side by side with sister brands and competitors such as DelightFULL and Brabbu. 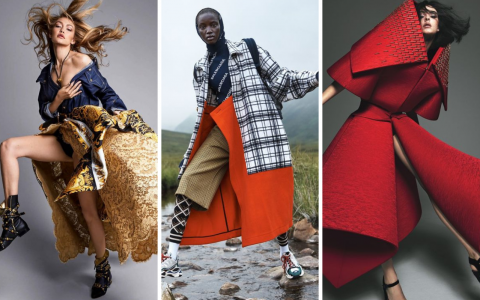 The pieces, however, stood out from others, setting trends for this Spring. 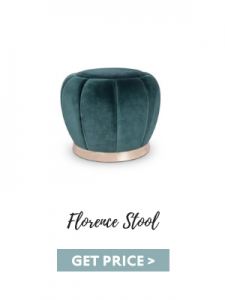 From velvet to green forest, the trends are endless and stunning. Come with us and discover the pieces that caught everyone’s attention. 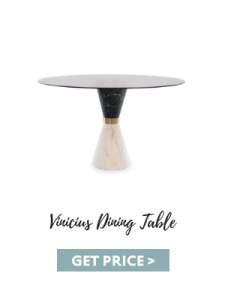 With a small dining room corner to work with, Essential Home brought one of their bestsellers, Collins Dining Chair, and paired it with the beautiful Vinicius dining table, an harmony between black and white, brass and marble. 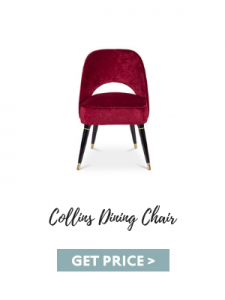 With these customizable pieces, you turn your decor into whatever you want. Nostalgic, stunning, charming – it’s impossible to resist these pieces. 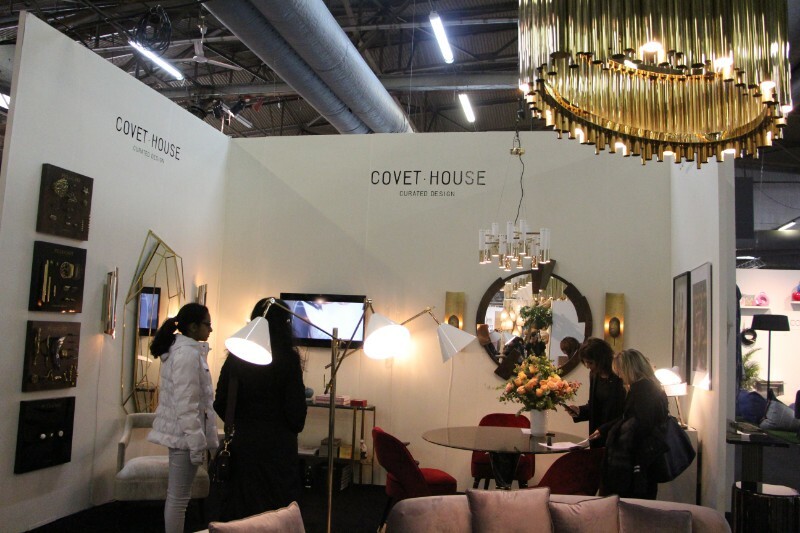 Covet House offered a number of options of some of the best modern pieces from top luxury brands. 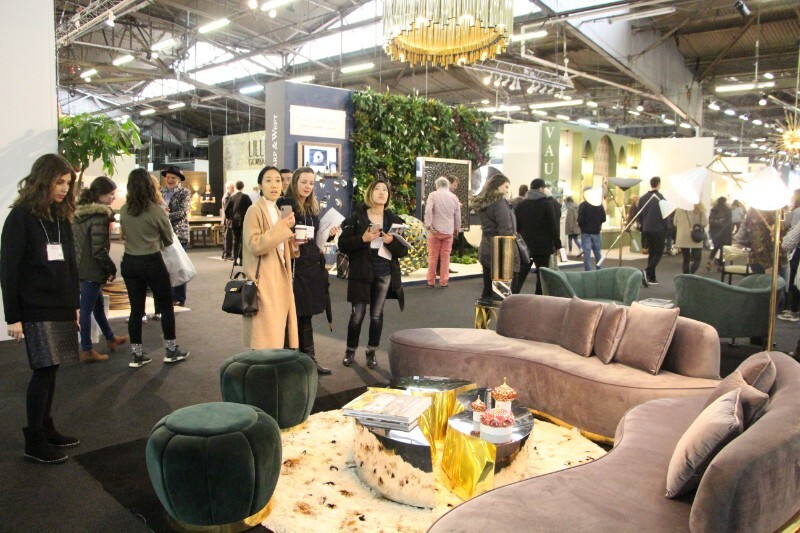 Suspension lighting, golden accessories and even soft velvet sofas – all of these were ready to be appreciated and loved by the AD Show visitors. 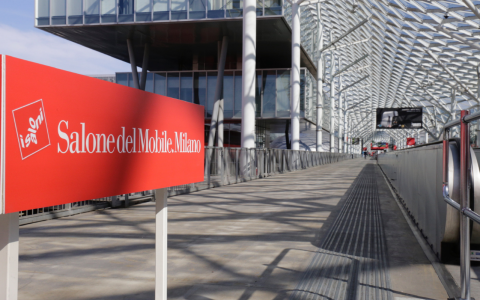 Experiencing design with the finest brands was easy at AD Show. 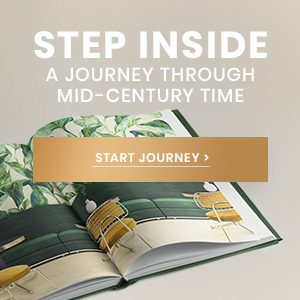 Discover more about what events to attend next in NYC, and check out more of Essential Home‘s pieces. We’re sure you won’t regret it. 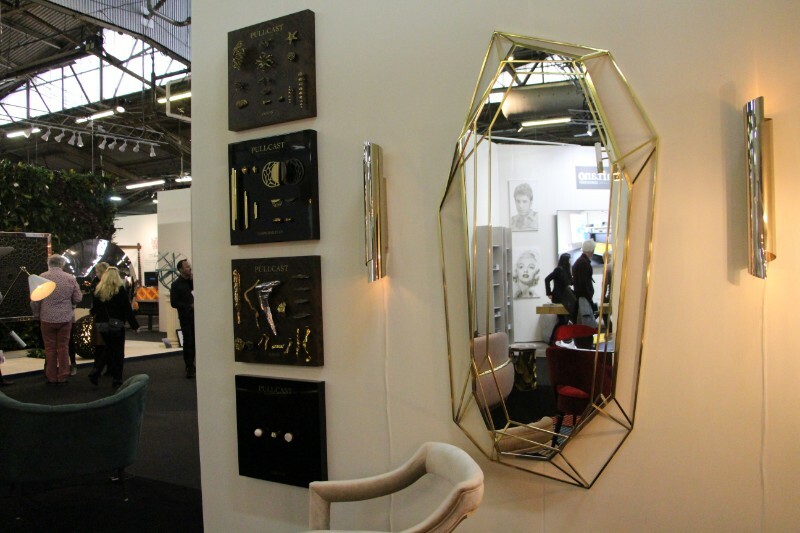 READ MORE: Bredaquaranta: Italian Design Meets Mid-Century Style!